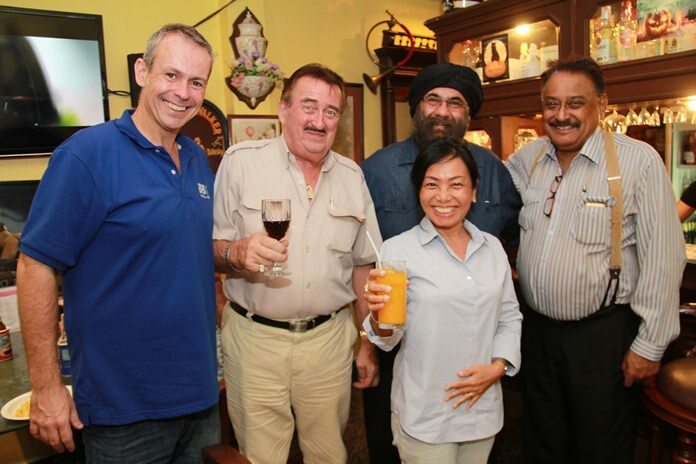 Stuart Marsh, GM BBX Thailand, John Collingbourne, Nachlada Nammontree, Nanak Singh Thakralbutra and Peter Malhotra get acquainted. 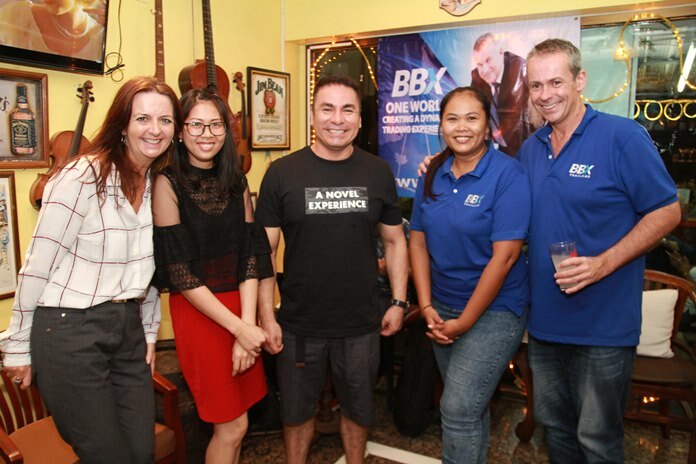 BBX Thailand held its monthly networking event in Pattaya Nov. 21 at The Prince of Wales Bar, located next to Collingbourne Auctioneers, giving members from Bangkok, Chiang Mai and Pattaya a chance to meet and exchange business opportunities. Everyone enjoyed free food and drinks. Live music was provided by the venue to add to an already great atmosphere. The night was a great success, with some BBX members from Bangkok to Pattaya to attend. 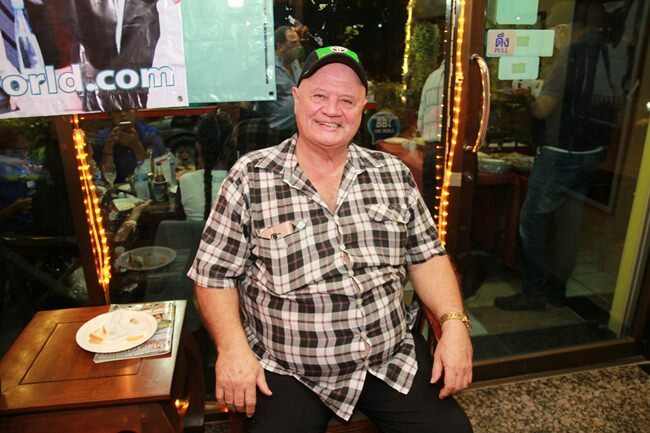 David Chappel lovingly known as ‘Chad’ (Expats Car & Trucks Rental) seems thoroughly pleased with the proceedings. BBX rotates its monthly networking nights between Pattaya, Bangkok and Chiang Mai. All events are hosted at a member’s business. All members are invited to host a BBX networking event to showcase their business and what it can offer the BBX community. A range of products is always available to buy at BBX events with the option to buy through a cashless system with BBX Barter Trade Credits BTC. BBX is the world’s largest business barter exchange. 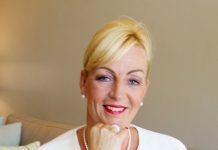 BBX was founded in Australia in 1993 and since then grown across the globe. BBX now operates in 13 different countries, allowing customers global trading opportunities. 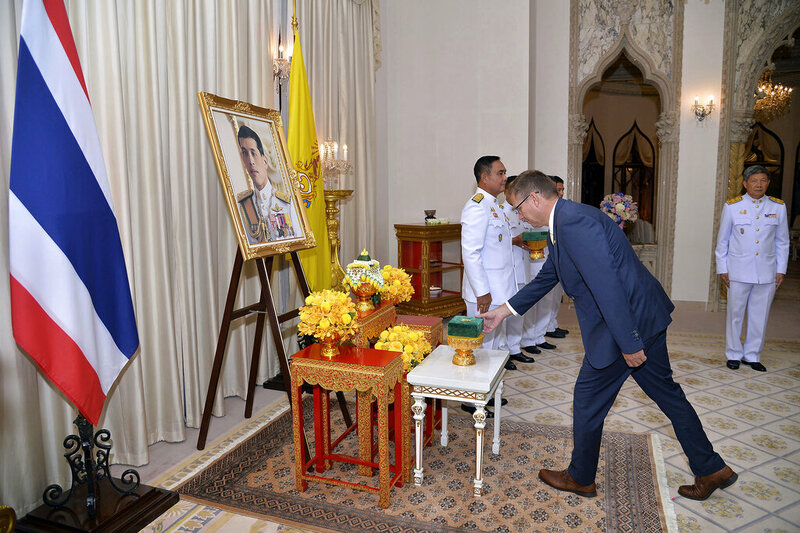 The office in Thailand opened in 2010 and has grown a strong and loyal customer base over the last eight years. BBX works by selling goods and services for trade credits instead of cash. It works really well when a company has excess stock that they want to sell quickly, or for a restaurant that is not full during lunch time or in the week day evenings. In fact, BBX can work for almost any business. To find out more about BBX go to BBXWorld.com or call 03-364-1864. The BBX team with members. Sirikorn Bunnoi, Gloria Jones, (Pattaya Trader) Panjarat Wongsajun, Sundeep Singh Narang (Sunny Online), Susie Spicer and Stuart Marsh. 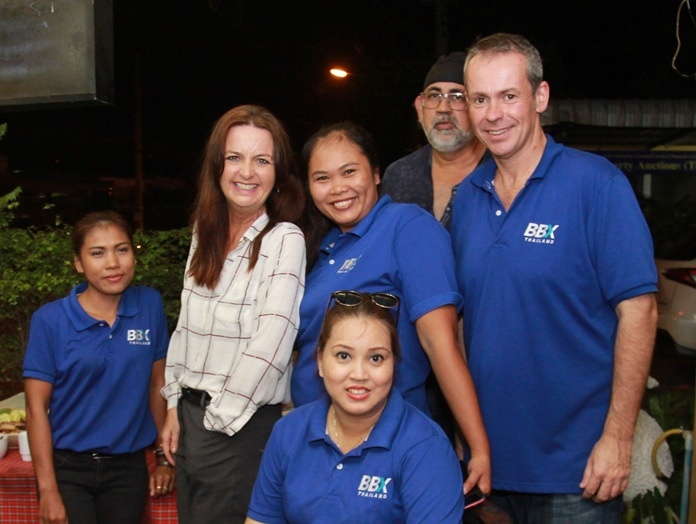 Alex Paleksi of Chicha Restaurant & Hotel is flanked by Gloria Jones, Nutsara Duangsri, Sales & Marketing Manager of Pattaya Mail and the BBX team.